We're asking each of our Cobra Teams to donate a basket to raffle off at this year's banquet. Coaches, please contact your team mom or a volunteer to organize this for your team! 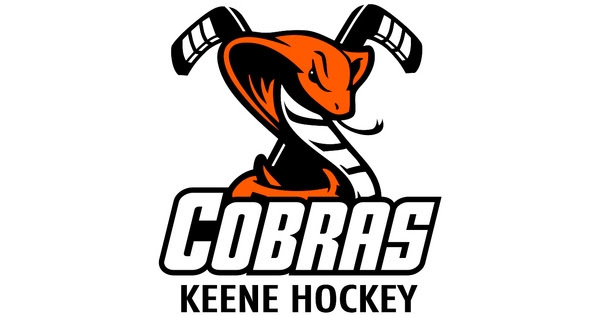 Click the link below to register for Evaluations at Keene ICE for the 2019/20 KYHC season! The Registration "News Feed" is not currently available. Bantam Tier 5 State Tournament Volunteers needed! Mark your calendars as the KYHC year end banquet has been scheduled for Wednesday March 20th at Keene ICE - as soon as all details are finalized more info will be sent out - teams are welcomed to have their own "team end of the year celebrations" but are not required to do so - hard to believe the hockey season is almost over! 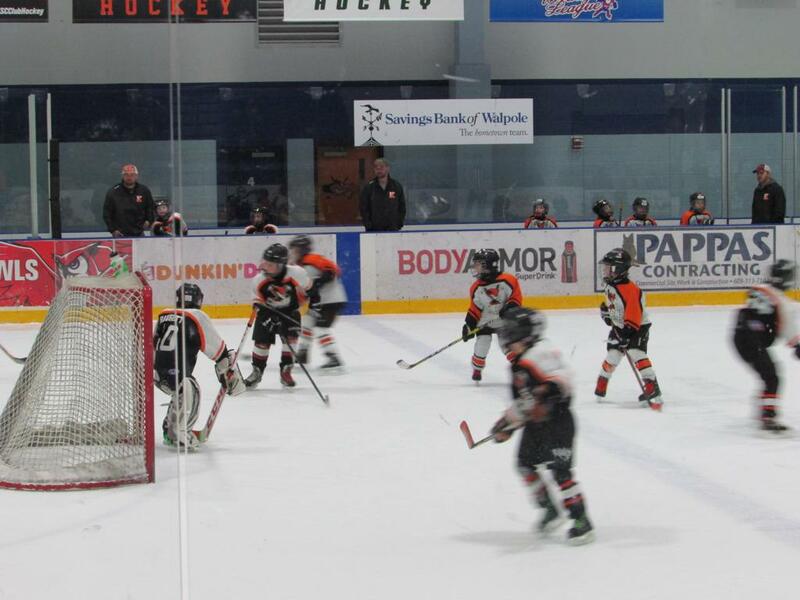 Squirt Tier II Volunteers needed Feb 15,16 and 17th! KYHC pictures taken by PMP Studios will be at Keene ICE on the following dates and times(make sure to arrive and be ready for these times) - cash and checks only! - orders will be done before Christmas! Skate guards will be needed. Order forms will be circulated this week at practices.....can also get a form the day of if you son/daughter did not receive a form. Christmas Gifts by Bulldog due by 11/25! Click the link https://keenecobras.itemorder.com for gift ideas for Christmas. Hurry as the on-line store ends 11/25 in order for them to have the gifts ready for Christmas! Hand in orders on November 26th. Boost your sales! You can now order your pizza kits online and pay with a Visa or MasterCard. People you share this with will then register as a new customer with their name, email, and password to begin shopping. Select the items you wish to order, at checkout pay securely with a Visa or MasterCard. Please make sure your name or the person you are ordering from within the group is provided in the seller field at checkout so the chairperson knows who in the group you are helping thanks. Sell 10 items and WIN a Black Cinch Bag Backpack with a huge zippered pocket with Keene Youth Hockey on it ! The American Development Model is a nationwide model for successfully developing American hockey players. It is a tool that will ensure every kid will have a great chance to succeed. Applicant must play for a Keene Youth Hockey Club. All funds will be distributed directly to the club. TO PARENTS/GUARDIANS: The intention is to have the applicant do as much of the work as is possible. We want to hear their words. Helping young kids write and type responses is expected, but using their words is critical. There are no limits to your response so please feel free to use additional paper if required. Deadline for submission is November 15th. Please explain to us why you are applying for this scholarship. It is important for us to understand why hockey is important to you and why you like playing it. Please share a situation in your life that was extremely challenging. Explain how you handled that situation and what the experience taught you. *Applications can be submitted directly at info@keeneice.com. Or drop off at the front desk at the rink and tell the attendant it is for the Noah King Scholarship. This is a reminder that evaluations for the U10, U12, and U14 age groups start tomorrow. To speed the registration process please visit the KYHC website and register online. You can still pay by check at the door but you will not need to spend the time filling out the forms at the rink. Merging our most recent mite programs, this concept will engage players aged 5-8 of varying skills through fundamental practice plans and 20+ local games, plus a few jamborees. We will select age appropriate players early in the season to play some road games to introduce the travel hockey concept that will come at the squirt (U10) level. LOOKING FOR NEW BOARD MEMBERS: It's that time of year again where we are looking to add to our board of directors. We are blessed with so many fantastic hockey families who have great ideas that could benefit the club. If you have a desire to share those ideas and want to have a voice in conversations that contribute to the direction of our club, please send your name and email address to president@keenehockey.org We will be electing new members at our annual banquet next Tuesday, March 20th. Plus, a tuition discount is offered to all board members. 2018-19 Regular Season Evaluation Registration link is now live! Registration for 2018-19 Regular Season Evaluations is now live! This is for Mite Hockey, Squirt, Pee Wee, Bantam, and Girls only. This is not for High School Development and/or Split Midget programs. A $50 non-refundable fee is assessed to pay for evaluation ice and officials, and it will be deducted from the total tuition bill if you continue with us during the regular season. Mite Evaluations are on March 14th from 5:00-6:00. There is no fee for the mite evaluations. Squirt, Peewee, & Bantam Evaluations are on March 27th, 30th, and April 3rd at the following times. We are hosting the Bantam's Tournament March 9th-11th at Keene Ice, and your help is needed! Earn credit towards the '18-19 season by signing up for one of our available volunteer spots using the link below! On Monday night, the board voted to have all KYHC volunteers register through USA Hockey. Coaches, please let your scorekeepers, timekeepers, sound people, etc. know. REMINDER: Order Your Bracelets & Keychains! More information about cost and sign-ups to come! The Time Has Come: Get Your Team Swag! Use the link below to access our online store. It'll be open until midnight on December 3rd, and is a great way to get an early start on some holiday shopping for you and your family! Welcome to the Board of Directors, Kirk Barrett! BOARD VACANCY: Keene Youth Hockey Club currently has a vacancy on the board of directors. If anyone is interested in serving in this capacity, please contact any current board member or email president@keenehockey.org. We will appoint this replacement at our next board meeting, which is scheduled for Monday, October 9th at 6:30pm at Keene ICE. PRACTICES WILL BEGIN ON SEPTEMBER 5th! Bulldog Design has opened an online store for players that need jerseys and socks for this upcoming season. Please see the link below for the pre-order special site. Orders are due by August 6th to receive the bulk order pricing. If you are a new to KYHC or an existing member that wants to change your jersey number, please confirm that the number is available before ordering. You can do this by emailing your number request to John Parrelli at johnparrelli@hotmail.com. Please note, KYHC will no longer require players born in even birth years to select even numbers or odd birth years to select odd numbers. As many of you know, the Crisp family home had a fire recently which caused the residents to have to relocate temporarily. Although nobody was physically injured, the Crisp family suffered significant loss and is now trying to put their lives back together. Gregg Crisp, owner of 2nd Wind Sports in Keene and a board member for Keene Youth Hockey Club, has contributed so much to our community over the years. This is a call to action for KYHC to show their support for Gregg and his family. Two major initiatives have begun, with others in the works, to provide some relief to the Crisp’s during this time of need. A GoFundMe page has been established for general fundraising as well as a collection to send their Pee Wee skater and goalie, Brayden Crisp, to Camp Takoda for some summer fun. Please consider making a donation to these programs so that the Crisp family can have some solace during this tragic time. This is for MITES, SQUIRTS, PEE WEES, and BANTAMS only! ©2019 Keene Youth Hockey Club / SportsEngine. All Rights Reserved.